Greetings from the Islington bunker where weâ€™re all getting itchy feet after the incessant rains of January. Our first newsletter of 2014 showcases some lateral highlights from Steveâ€™s trip to India in September last year during which he visited the Northern regions of Ladakh and Kashmir (which are beautiful to visit during the summer months), the temples and hill stations in Tamil Nadu and ended with a brief stop in Pondicherry before heading to the Andaman Islands which are still very much in their infancy for visitors. For travels this year and beyond, please do remember to contact us in good time of high season travel periods. 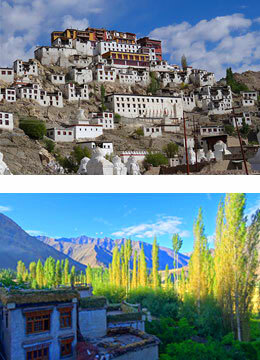 Bordering Tibet to the East it is easy to question if you are still travelling in India. The landscape is described as mountain desert with splashes of green from the small oases that border the major Zanskar and Indus rivers. Stay in villagersâ€™ homes where rooms have been converted to receive visitors looking for authenticity and to learn about the Tibetan culture be it in their work, their food or their religion. Visits to Buddhist monasteries for a palm reading or to see the morning prayers, river rafting, village walks, biking and cookery lessons are just some of the interactive highlights. 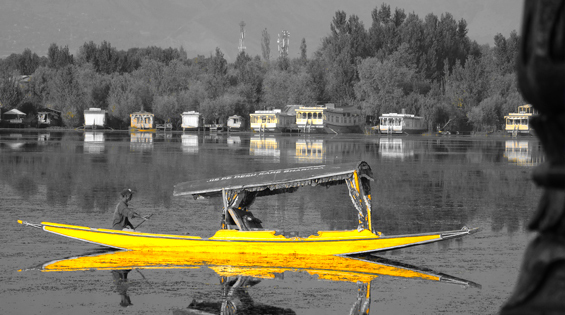 A stay in Kashmir isnâ€™t complete without a visit to Dal & Nigeen Lake and a night or two on a traditional houseboat. Some of these have been upgraded with modern comforts but maintaining the elegant Kashmiri influences and offering visitors the chance to enjoy those paradisiacal views of the evening mist over the lake and its canals which run through the ancient city of Srinagar. 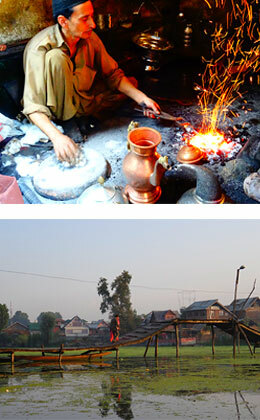 Srinagar itself is a testament to a city which has hardly changed for hundreds of years. Float past vegetable markets in your private Shikara boat, walk through the botanical gardens, visit ancient mosques, dine on courses of fragrant lamb and wander among ancient streets where traditions of local crafts, medicine and manufacturing are all very much alive. Few visitors to India have even heard of the Chettinad District but we are certain this will change over the next few years. The area used to be, and still is, home to some of Indiaâ€™s wealthiest families but the heyday was in the 18th & 19th centuries when wealthy merchants and traders built enormous mansions to house their luxury possessions. Many of these incredible mansions and palaces still exist, albeit most in a far more faded state but still maintaining giant teak pillars, the occasional cricket-ball sized gemstone and enough rooms to house extended families. The cuisine here is subtly different with spices such as kalpasi (also known as black stone flower) dominating the various dishes. A highlight is a cooking class with the chef from the Bangala. Stay at Visalam Mansion in the heart of Kanadukathan and experience the traditions of the Chettiars. The Palani Hills are accessed from Madurai where a must-see spectacle is the morning or evening ritual at Meenakshi Temple whose 14 gateway towers (gopurams) dominate the cityâ€™s skyline. 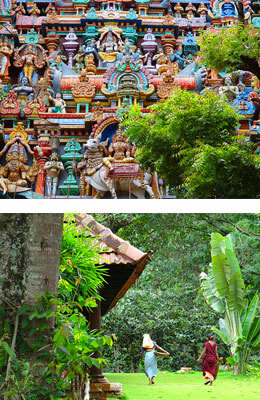 Meenakshi represents one of the most important Hindu temples in India with festivals attended by thousands of devotees. Escape the chaos and drive into the hill station territory in Tamil Nadu with a calming stay at Rajakkad Estate, owned by the Fry family (of Fryâ€™s chocolate fame). Rajakkad was literally moved teak pillar by pillar from Kerala up into the hills where the grounds border coffee, pepper and cardamom plantations. 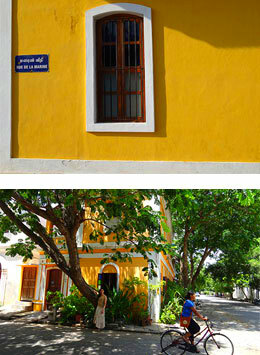 This tiny French-influenced enclave on the East coast around 2 hours south of Chennai (formerly Madras) contains some fine French architecture, the ability to purchase some acceptable European (and Indian) wine, dine on a good steak and have pain au chocolat for breakfast. This is a town for wandering around in a less hurried fashion compared to much of India. Stop by the main temple for a blessing by the resident elephant and visit Auroville which is the most famous ashram in the country. Palais de Mahe is a reconstructed colonial style mansion just one block from the promenade. Our partner in New Zealand Mark Wood of laterallife NZ has been busy researching the countryâ€™s length and breadth. For any trips down under, please do contact Nick or Mark and check out the new website www.laterallife.co.nz for inspirational ideas.